Gain insights into each step of the process to building a successful business, from set up to branding, product and pricing, right through to choosing a marketplace for your product and standing out in competitive industries. 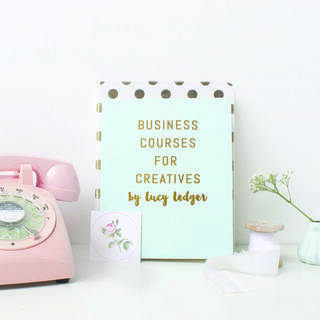 Led by Lucy Ledger, a multi award winning designer with eight years experience in running her own business, you will meet a host of successful designers and key organisations that can help you get off to a flying start. With a particular focus on the commercial art and design industries such as Greetings and Stationery design, this experience is highly suitable for any creative person looking to gain the confidence to take a leap into working for themselves.